← Is the “Hollywood Model” Really Something New? We have to get Olivia back, not just because I love her, not just because having her out there is a threat to national security. There are soldiers who are never coming home because I tried to get her back. Someone’s father, someone’s husband. I have killed so many mothers’ sons trying to get her back. The flags placed on the coffins where they lay are there because they had the courage to give their lives and I did not have the courage to give Liv’s, so she has to come back because their sacrifice damn well has to mean something. They cannot have died for nothing. They cannot have gone to their death for no other reason than I asked them to. The United States has invested much in attempting to achieve its objectives. In addition to the many millions of dollars that have been spent, many thousands of lives have been lost, and an even greater number of lives have been irreparably damaged. If the United States withdraws from Vietnam without achieving its objectives, then all of these undeniably significant sacrifices would be wasted. Do you see the parallels? 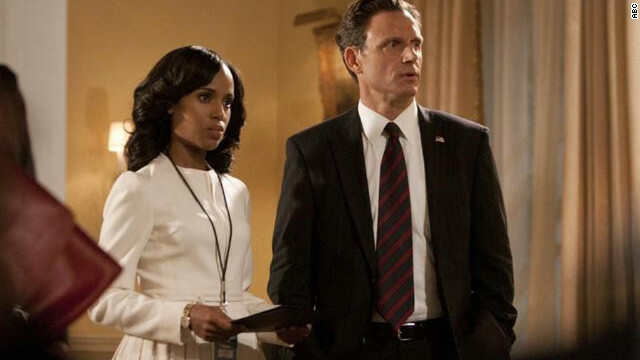 Now, I totally get why the writers of Scandal couldn’t have the fictional President of the United States not continue to try and rescue Olivia Pope (how could there be a show without Olivia? ), but I wish they didn’t have to write it in this way. In actuality, based on what he’s saying, it sounds like he’s come to the realization that sending more troops to war is a bad idea, so right there — right at the point — is when he should stop sending troops to war. Right then, he has the knowledge that continuing down the same path is the wrong thing to do, so he should stop. His rationalization for continuing is the sunk cost trap. The thing that worries me is that by having things play out like this, it’s almost affirming that what the President is doing is the “right” thing or that it is the only choice he has. Certainly, there are plenty of other courses of actions he could have chose (many that probably wouldn’t make for good TV). Most people probably won’t find themselves in a situation where they’re forced to continue a war (or start a war, for that matter) for dubious reasons (or any reason, for that matter), but seeing stuff like this on TV, in a way, gives people an idea of how they can do things. I’d much rather popular entertainment actually err on the side of educating viewers, if it’s going to incorporate lessons of this nature. I can already hear you yelling at me that this doesn’t make for good TV or entertainment (I know, I alluded to that earlier), but can’t we find a way to blend effective decision-making with entertainment, so that while we’re being entertained, we’re also learning something, too? This entry was posted in Entertainment, Psychology and tagged Bias, Biases, Cognitive bias, Cyrus Beene, Fitzgerald Grant, Kerry Washington, Mellie Grant, Olivia Pope, Pope and Associates, Scandal, Shonda Rhimes, Shondaland, Sunk Cost Fallacy, Sunk Cost Trap, TGIT, Tony Goldwyn, TV. Bookmark the permalink.